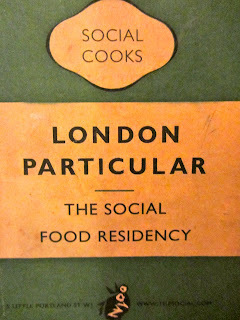 There's a wonderful cafe near where I live, called The London Particular. It's like a rose between two take-away thorns and has definitely put a positive feather in New Cross's cap. Offering classic English fare with a modern twist, it serves hearty, wholesome food made with fresh ingredients sourced from small, independent suppliers. Primarily a cafe by day, it's an ideal pit-stop for lunch or an afternoon pot of tea and slice of homemade cake. But on Friday and Saturday nights, it opens as a restaurant which is fantastic, especially as the area is crying out for a decent place to eat which doesn't involve pub grub or a greasy kebab. And it's worth bearing in mind that the entire venue can be hired out for private dining. It is a licensed premises too, so you can enjoy a cold beer or a carafe of wine whilst you dine. The weekend menu offers various interesting and tasty brunch and lunch dishes such as delicious baked eggs with chilli and chorizo; poached kippers with roasted tomatoes; savoury brioche pizza or a warm banana & cranberry loaf. 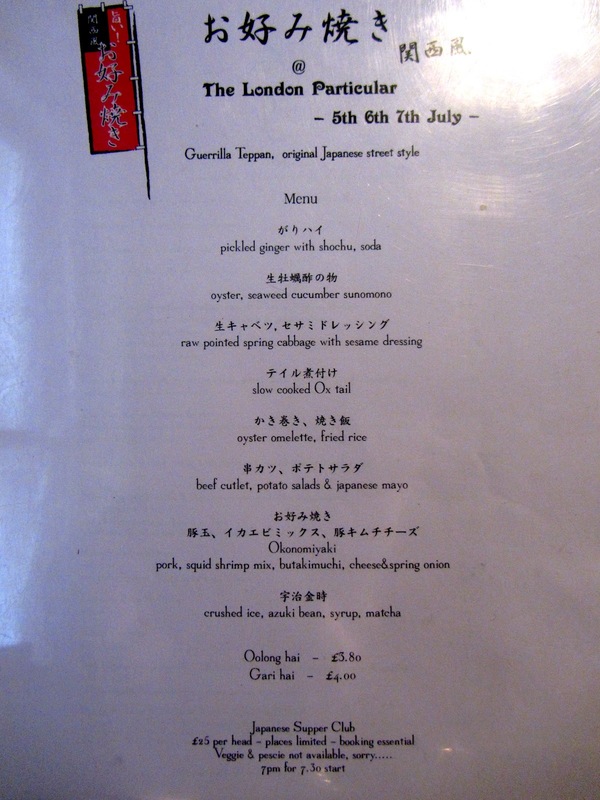 The menus are lovingly and thoughtfully created by the founder and Head Chef, Becky Davey who runs The London Particular with her partner Kanji and their trusty team. 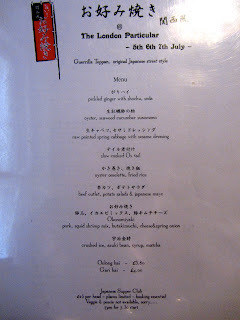 I went to a Japanese-themed private dining event there recently. Not only was it a sell out, but it was also a knock-out! 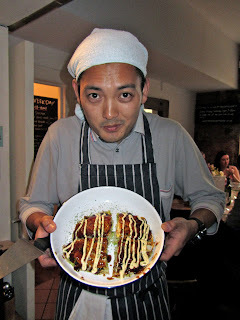 It served really interesting, creative dishes including slow-cooked oxtail; oysters with sea cucumber, and something unusual called Okonomiyaki which is a traditional Japanese snack originating from Osaka. It is essentially a pancake and contains a variety of ingredients such as shrimp, pork, shredded cabbage & kimchi, and is topped with Japanese mayo. We sampled three different varieties and they were all delicious. 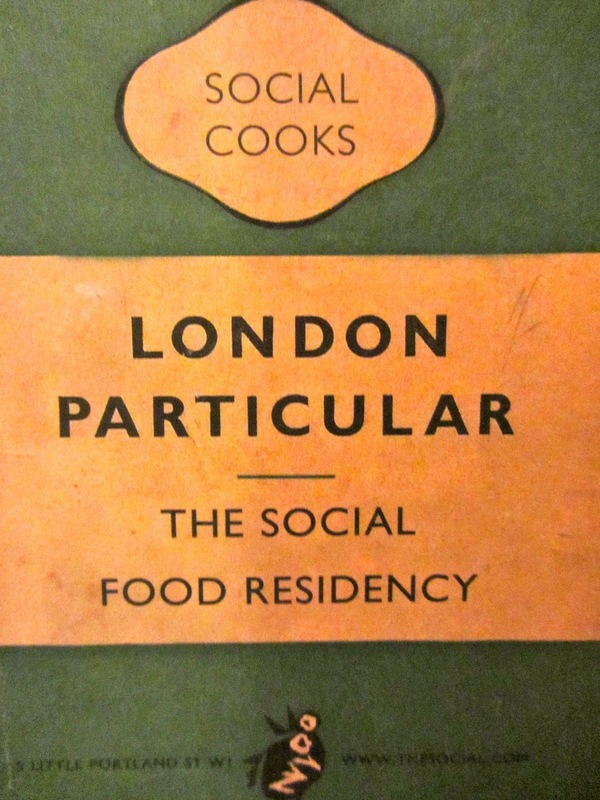 The name London Particular derives from the name given to the thick London fogs in the 1800's which were also nicknamed pea soupers due to the thick, greenish consistency of the smog. 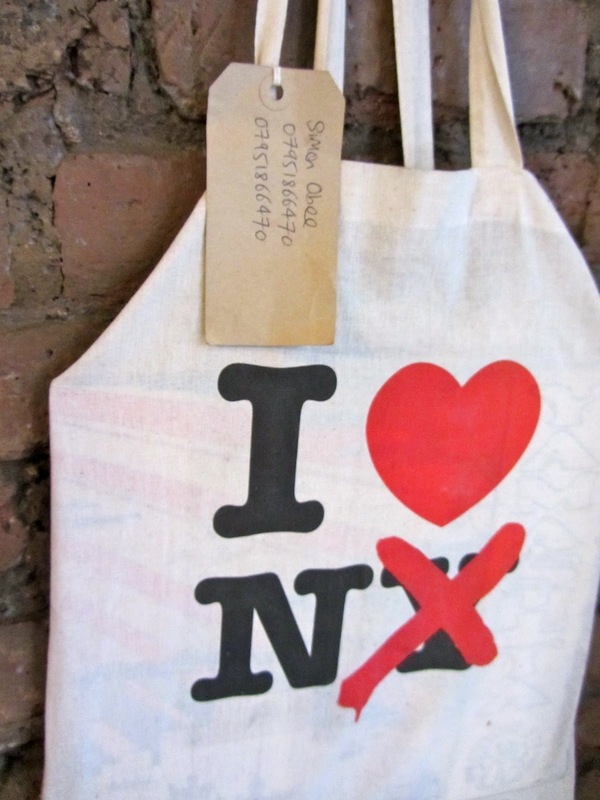 A creative and fitting twist for a creative cafe. The decor and style of The London Particular is simply decked out with a large wooden communal table (including one outside), mismatched chairs, vases of fresh flowers, chalkboards, bar stools, random artefacts and exposed brickwork. It has a friendly, happy ambience, the staff don't rush you, and you feel comfortable just hanging out and watching the world go by. The gang at The London Particular also do private catering and on Saturday mornings, you can find their stall at the Brockley Farmers' Market. Is there anything these brilliant people can't do! If you find yourself in South East London, you really should stop by and check them out. You won't want to leave.